Country Homes and Interiors - Philippine distributor of magazines, books, journals, etc. Country Homes & Interiors will inspire you to design and enjoy your own timeless place in the country with the leading authority on country decorating style. 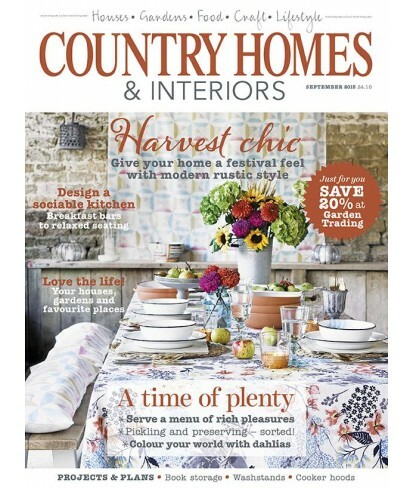 Each issue is dedicated to stunning real homes including cottages and barn conversions, flats and town houses, plus beautiful gardens and a fresh take on country-inspired decorating from inspirational fabrics, furniture and rooms to practical renovation solutions.